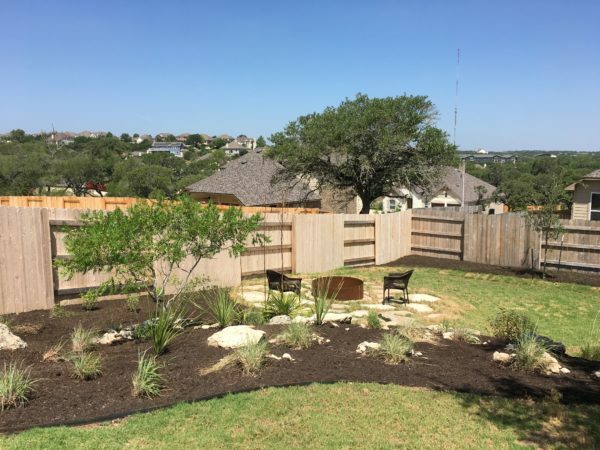 This couple had just built a new house on the outskirts of Austin and were in need of some new landscaping to go with it. 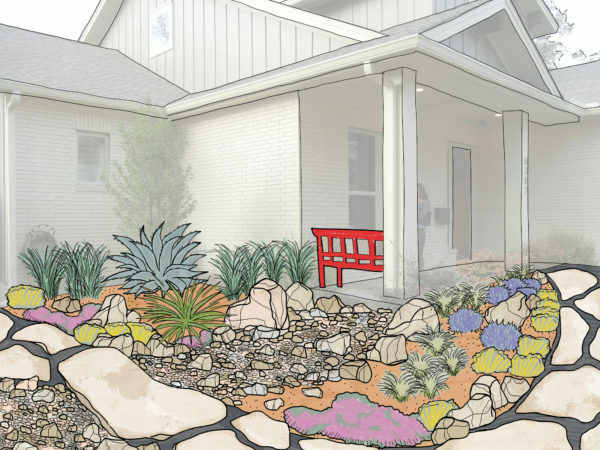 For their large slopped yard they wanted limestone boulders to break up the space and keep it natural while a flagstone patio and fire pit could be the fun focal point to the design. Concrete is a material landscape architects are all too familiar with. Highways are built with it, downtown depends on it, even features that don’t have concrete as the main focal point will often use it somewhere for structural support. However, I want to talk about concrete and its aesthetic achievements. Long past are the days when a concrete patio was just a boring slab of stark white cement. Concrete can be natural or sleek, funky or futuristic, the only limit is your imagination! 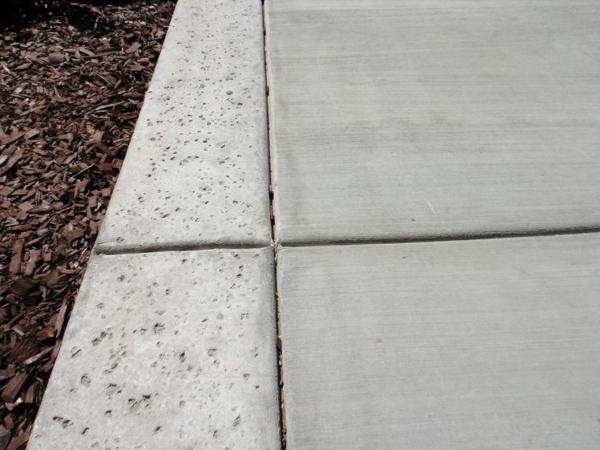 One of the easiest ways to add visual interest to freshly poured concrete is to add texture. Broom finish is as straight forward as it sounds. A broom is run along the surface of the concrete to create ridges. The thickness and coarseness of the hairs affects the amount of coarseness added. This can be done straight across or in swirls to create a pattern once dry. Because salt dissolves in water, if it is sprinkled onto the surface of the concrete when still wet and left to dry impressions will be made in the concrete once water is used to wash it away. This creates a distinctive weathered look that is hard to achieve through other methods. Larger particles of salt will create deeper impressions and you can choose to distribute the salt evenly or unevenly depending on the look you want. A concrete float is a device used to smooth the surface of the concrete. This is the typical finish you will see on most public projects. A float can be as simple as a small hand tool, a long handle with a float attached, or a power trowel for more industrial projects. A polished concrete surface is not very typical for outdoor applications, but it is very popular indoors. The process is more labor intensive than the first 3 because the goal is to wipe away imperfections. It involves grinding the concrete down until the surface is even and smooth and then applying sealers and resin to give it a nice shine. 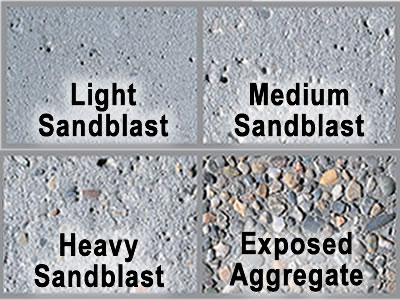 Sand blasting concrete involves using compressed air to shoot sand at high speeds at the surface once the concrete is already dry. This can help to remove paint or smooth a surface that has experienced years of weathering. However, done over a longer period of time it can create a coarser texture and expose aggregate in the concrete to create a brand new surface. For this category I’m referring to the addition of materials to concrete that affects the way the surface looks. Exposed aggregate concrete is created by adding aggregate like gravel, crushed stone, pebbles, glass, shells or even recycled plastic to the concrete and then washing away or using chemicals to remove the top layer (of concrete) to expose the aggregate inside. Exposed aggregate is highly customizable, but is typically associated with a more traditional look when used outdoors. When polished and cut, however, it can make a beautiful modern counter top. Although the finished look of exposed aggregate is very similar to mosaic the process is slightly different. Mosaic usually involves a more deliberate pattern that needs to be precisely placed after the concrete is poured. It can be created with pebbles, glass, plates, or terra cotta pots. 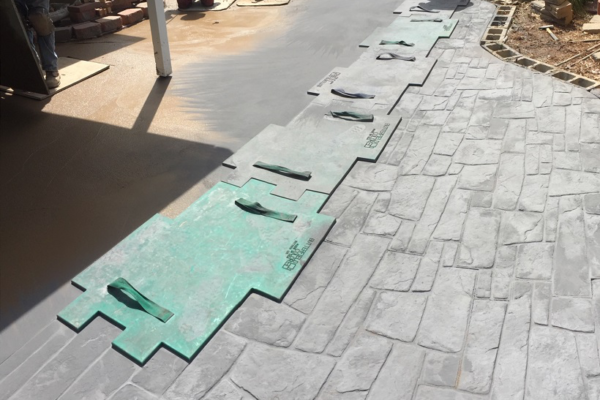 It also requires the use of mortar (essentially a form of concrete without the larger gravel pieces) that is typically used to fill in the spaces after the pattern is set. Then the surface is cleaned, as before, to reveal the beautiful pattern below. While, arguably, indenting into concrete is also adding texture I decided to single it out as its own category due to some of the unique ways this can be done. When pavers, walls, or even pathways are built a wooden form is often used to keep the concrete in place. 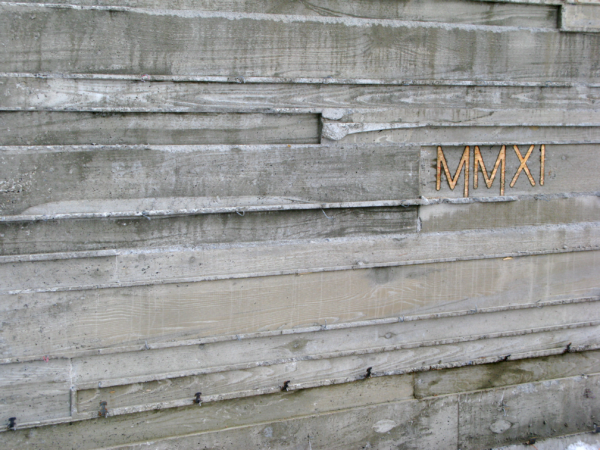 Once the concrete dries it can inadvertedly take on the pattern of the plywood being used. Eventually, people decided to exaggerate this effect by adding additional wood on the inside of the form to show the wood grain on the surface. The result is both a soft and sophisticated look. Stamped concrete is concrete that is patterned to look like cobblestones, flagstones, tile or wood using a stamp. This reduces the labor that would have been used to lay individual stones or tiles. Often times color is also added to help in the illusion. Over the past couple of years companies have been constantly improving on the look and believability of their products and it’s gotten so good that it can be hard to tell the difference. Nowadays concrete doesn’t have to be that boring grey/white color we are all used to. You can get concrete any color of the rainbow using pigments to change the color of the concrete itself, or by staining the outside. Staining is great because it can be applied any time after the concrete is cured and can be reapplied to make your floor look brand new. So, that’s it! We encourage you to experiment with each of the finishes on this list and don’t be afraid to mix and match. The possibilities are endless. This past month as I was skimming through the vast catalogues of pinterest boards and landscape portfolios I came across a simple, but wonderfully executed, blog called Drawn to Garden by Erin Lau. After looking through her website I felt compelled to try out my artistic chops and create a perspective drawing (shown below) following the guide she laid out in her blog post “Garden Creation: How to draw a Perspective Sketch”. I’ve never been good at perspective, but overall I’m happy with the way it turned out! I encourage anyone interested in sketching and landscaping to try and follow her steps and see the results you get. Lions and Tigers And Mites, Oh My! If heat and drought weren’t enough to make you worry about your plants, never forget about those ruthlessly resilient, tiny and terrible, spider mites. So, in the effort to save you from some of the headaches I’ve endured dealing with these aggravating arachnids here is a list of everything you need to know about spider mites, and hopefully how to get rid of them. First, I guess I’ll start by telling you what a spider mite is. Spider mites are members of the Acari or mite and tick subclass found within the larger Arachnida, or arachnid classification. They are tiny, less then 1 mm in size, and can commonly be found living on the underside of leaves. Some plants that are susceptible to mites are fruit trees, tomatoes, strawberries, roses, juniper, rosemary, and house plants. So, basically anything tasty, pretty, or fragrant…great. The optimal temperature for a spider mite is 85-95 degrees fahrenheit, and they love dry heat, so they love our Texas summers. Under these conditions it can take as little as 5 days for a mite to reach maturity and live 2-4 weeks as an adult laying hundreds of eggs. This leads into the difficulty of getting rid of them, since not long after you’ve killed the adults more eggs begin to hatch. 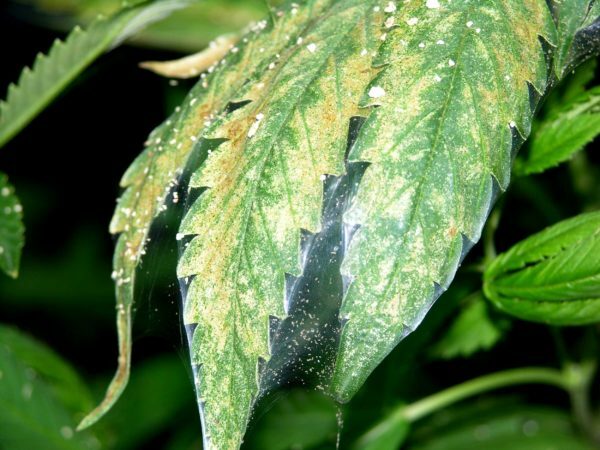 HOW DO YOU KNOW IF YOU HAVE SPIDER MITES? Due to their size, it can be difficult to tell if you have a spider mite infestation until it’s too late. I was able to notice them because my plants are rather small, and I check on my plants every day. However, if you want to check your plants for mites you can take a piece of paper place it under the leaves and shake. If small reddish-brown speckles fall onto the paper you likely have mites. More dramatic evidence of mites include yellowing of leaves in a spotted pattern and webbing encasing leaves like that of a spider. WHY ARE THEY SO DAMAGING? 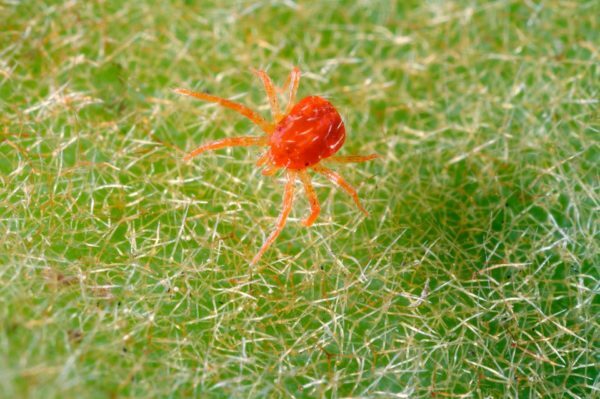 Spider mites feed on plants by piercing the leaves and drinking the fluids inside, creating thousands of tiny holes. This vastly diminishes the plants’ ability to retain water and the attacked leaves slowly start to wither and die. Combined with the stress of summer, spider mites can kill a plant in the blink of an eye. There are several points of attack you can take towards getting rid of spider mites. One unfortunate solution is to immediately dispose of the infected plant to prevent them spreading. 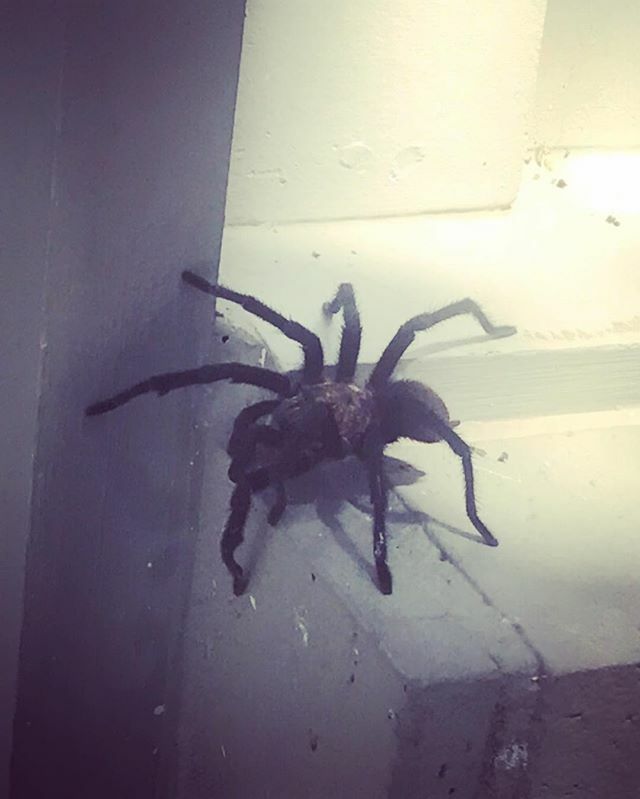 It may seem a little hasty, but if you have seen these pests before you know you can never be too safe. Like I mentioned earlier, I tried the “spraying with a stream of water” solution to no avail, and my homemade insecticidal soap didn’t fair much better. Finally, I tried borrowing my mom’s neem oil and it seemed to do the trick. Neem oil is a vegetable oil collected from the neem tree, which is endemic to India. It’s an organic form of pesticide that can help control many different kinds of pests, as well as fungi and mildew. You should be able to find it in your typical home and garden store, but if you can’t I’m sure amazon would be your next best bet. Whatever you land on, I wish you the best of luck, and don’t let those mites grind you down! As the summer sun slowly starts to peak over the horizon, many Texans will be traversing indoors this year to experience that little bit of modern magic we like to call air-conditioning. AC isn’t just a luxury it’s a life-saver, especially in urban settings. However, that doesn’t mean there aren’t some downfalls. Aside from their contribution to green house gases, old filters and inefficient machines can actually make you sick, and paying for your AC can be expensive, especially when you’re cooling down an entire household. However, there are ways to improve the quality and affordability of your AC system without changing a thing about it. Just add plants! There are so many benefits plants have on our health and well-being. They can decrease stress, increase happiness, improve our mental health, and improve the quality of the air we breath. We all know, from grade school, that plants convert CO2, water, and light energy into sugars leaving Oxygen as a byproduct. But, you may not have realized all the air pollutants that get filtered out along the way. In a clean air study published by NASA in 1989 they conducted research on over a dozen tropical and subtropical plant species to see their affect on the levels of harmful organic compounds commonly found in household air. This included trichloroethylene, formaldehyde, benzene, and ammonia. The experiments proved to be a great success. Nearly all the plants were shown to remove at least 10% of a given chemical within a 24 hour period with some removing as much as 80%. AC units filter particulates out of the air like pollen, dust, and dirt. However, they limit our use of outdoor ventilation and can allow for a buildup of indoor pollutants. By utilizing plants natural processes, house plants can be used in conjunction with clean air filters to considerably improve the quality of the air we breath. 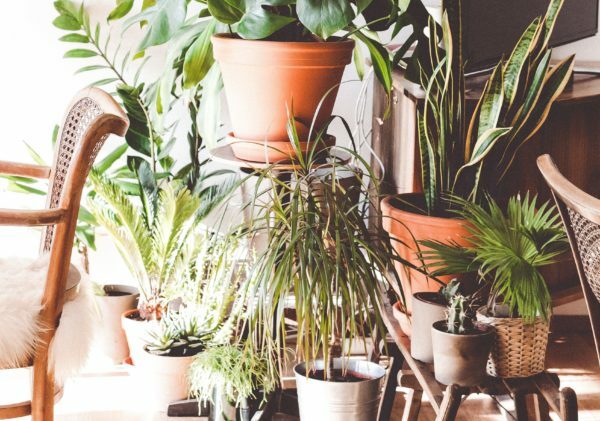 If you need house-plant suggestions check out these two links, The best air-cleaning plants according to Nasa, and 17 Amazing Houseplants that Clean the Air. Improving the landscaping on the outside of your house can decrease the amount of money you need to spend cooling it. You just need to know what kind of plants to grow and where. Through various studies complied by the EPA, shading and evapotranspiration provided by trees were shown to reduce the surrounding air temperature by 6 degrees Fahrenheit cutting cooling costs by 7-47%. To accomplish this you should plant trees on the east and west side of your building to direct southerly summer breezes towards the house. To get the most shade plant deciduous trees with a high crown on the east side of your building and deciduous trees with a lower crown on the west side. Ideally, the trees should be slow-growing with a max height of at least 20 feet. Deciduous trees with a high crown block more sun from above in the morning, as the sun begins to set a lower crown is better to block the hot afternoon rays. Because the trees are deciduous, they will create shade in summer and allow the sun to heat your home in winter. Evergreen shrubs and trees are great to use as a wind break and can be planted on the northern side of your home to block cold fronts from making things too chilly. Plant smaller plants, trees, and shrubs around pavement, patios, and walkways to create even more of a cooling effect. Shading your AC unit directly can increase its efficiency, but don’t plant anything within a 2 foot radius, otherwise you have the potential to disturb the airflow and make it run less smoothly. 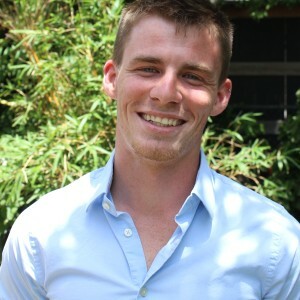 If you need additional help feel free to give us a call, or contact us through our website! Our designers are available to create the perfect landscape for you that is energy/water efficient and beautiful at the same time. It’s officially Spring, and in Austin that means thunderstorms, rain, and with it the occasional flooding. With all that extra water comes an increased risk of damage to local infrastructure, and homes if not properly accounted for. Luckily, more and more cities and individuals are finding creative ways to mitigate and manage these risks with a ‘landscape first” approach that increases our resiliency to natural disasters while keeping sustainability at the forefront. If there is one important thing to remember about flood mitigation it’s that floods occur and there’s nothing we can do to prevent that. 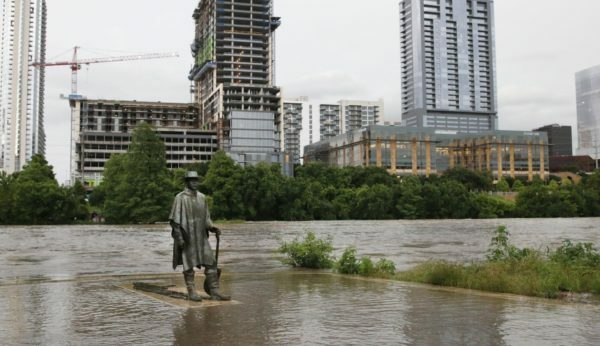 Our natural systems are actually very good at accepting rainfall on their own, if we allow them to do so; however, most cities are packed with impervious cover that resists the absorption of water and causes disasters like what we saw with Hurricane Harvey. Mother nature can truly be a powerful force, but we shouldn’t blame her for the downfalls of industrialization and our lack of foresight. More and more people are becoming aware of the dangers of developing in flood plains, but it’s not enough to stop there. By preserving and strengthening local ecosystems we increase the natural channels and buffers that help keep an area safe. Instead of developing a floodplain for residential use, parks and open spaces allow water to absorb slowly and can filter the water into new areas to be stored. When we do need to develop an area residentially we can approach it from a green infrastructure point of view, which combines the engineered with the natural and mimics the ways in which the natural world manages storm water. 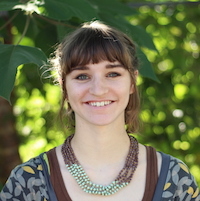 Rather than increase funding for levees, damns, and water treatments plants, this approach encourages the use of rain water catchment, green roofs, permeable pavements, and rain gardens among many other techniques. Flooding can occur almost anywhere for a variety of reasons, rises in ground water or sea water, excessive rain events, coastal floods, inland floods, or some combination of all of the above. In that respect management for flooding needs to be highly localized and directed at what kind of flooding an areas is susceptible to. Engineers, ecologists, city planners, and landscape architects all need to come together to create multi-use systems that can both serve the communities they are in while also creating solutions to floods. I know this can all start to sound a bit theoretical, but there are many places around the world implementing these techniques today, including right here in Austin, Texas. A plan developed in 2015 for the flood prone Onion Creek area proposes setting aside 700 acres of land to be converted into public parkland. Unfortunately, this includes buyouts for people’s homes, which had been previously built in this area. Righting these wrongs isn’t always easy. Austin’s Waller Creek is also getting some major upgrades that is anticipated to take nearly 10 years to complete and finish in 2019. Some of the development includes a massive storm pipe to redirect water into Lady Bird Lake. Along the way the creek will be “re-vitalized” to create a riparian habitat with limestone cliff’s and vegetation to create a habitat for local wildlife. Ultimately, the project aims to create a “managed” relationship with nature, that doesn’t seek to end natural processes, but manage them to create a result that is better suited for both. Whether the pipe aspect of the development goes according to plan is yet to be seen, however, where design flaws in the pipe’s construction have caused set-backs and cost increases. Another example perhaps of how a decrease in massive infrastructure for an increase in our natural systems is the most efficient and cost effective solution. Or, have a spoke too soon? Check out more on the Waller Creek Project here. 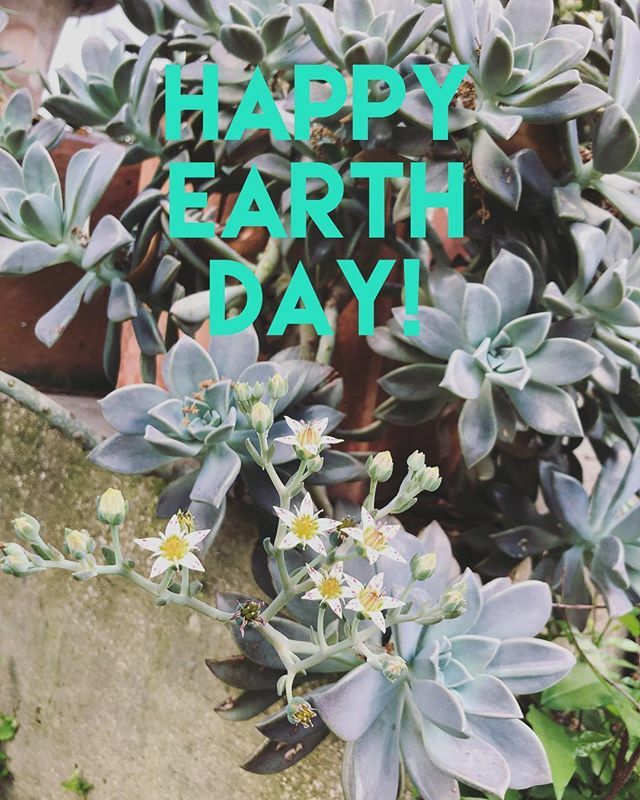 Here at Native Edge we love Spring! However, we know we’re not alone in saying sometimes there can be too much of a good thing. Pollen is one of the most common allergens in the United States and aside from taking allergy shots, or antihistamines, the best way to diminish symptoms is to avoid the allergen altogether. 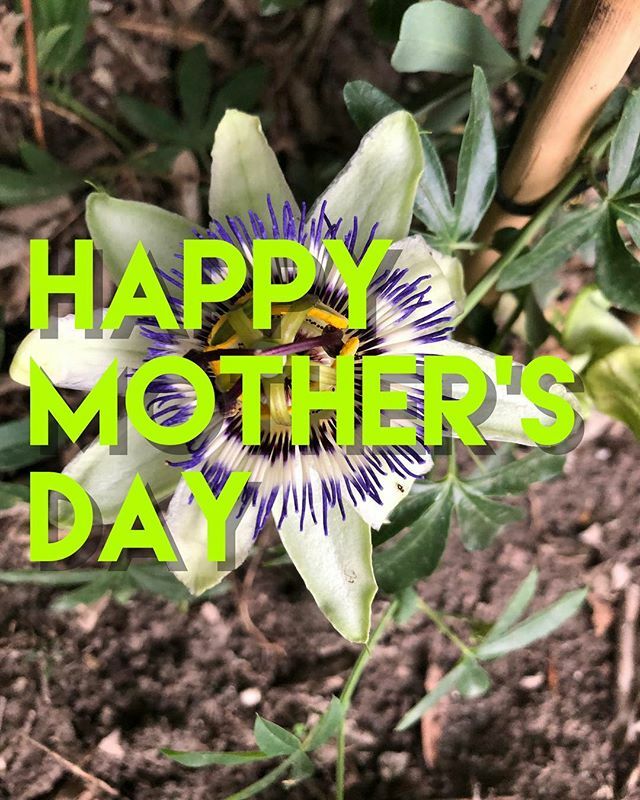 That’s why we’re giving you the tools to help pinpoint your pollen problems, so you can get back to enjoying the things you love most: plants! 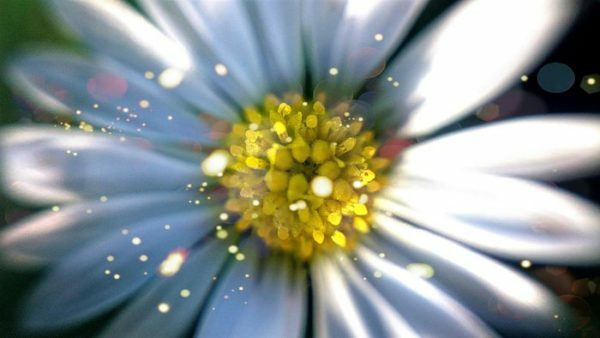 Given that the weather changes plants’ behaviors from year to year it should be of no surprise that it also changes how much pollen they release. A mild winter can indicate an earlier pollen season, where a late freeze might reduce the amount of pollen that year. Large amounts of dry wind will spread the pollen faster and rain can help drive it from the air. Determining when and how much pollen will be in the air at any given time can be complicated and similar to the weather can’t be predicted too far in advance, but trends can be made. That’s why KXAN, our local news station, has an allergy report they push out every weekday to help you determine what’s bad each day. Another important thing to consider is figuring out what you are allergic to. There are many different types of pollen out there, and unless you are extremely unlucky, you are likely not allergic to ALL of them. If your allergies are bad enough, consider going to a doctor and getting a skin test to see what you can narrow it down to. Once you know what they are you will be better equipped to handle what comes your way. Check out this Austin Allergy Calendar to see the types of pollen that dominate in Austin and when they are typically at their worst. Finally, we know that at a certain point it’s impossible to avoid all allergens in the air, and you can’t stop your busy life just because of a little pollen. However, when you are at home simple things like buying an air cleaner or conditioner with CLEAN filters can do wonders to control your allergies.